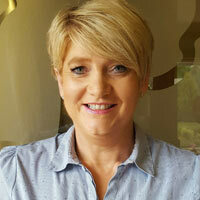 Caroline, proud mother of two, is PIC & Director of Care at Moorehall Lodge Drogheda. With over 25 years experience in various clinical and leadership roles in the UK and Ireland, Caroline is passionate about providing homely personal quality care within the Household model. Equallly passionate about being an effective leader, Caroline brings boundless energy, organisation and experience to her workng life on a daily basis always supporting her teams to create a place people can call home. Caroline has created a culture where the resident is central to her teams approach, always trying to balance the living experience and compliance. From the day Tanya qualified as a nurse back in 1982, she chose a career in care of the elderly. She sought from her early days as a newly qualified nurse to engage her colleagues in her passionate vision for a compassionate approach to care of older persons. She has worked throughout her career to de-institutionalise care in residential settings and focus instead on the humanity and dignity of those in her care. Tanya has 34 years’ experience in caring for people in residential care settings, 16 of those years have been as a Director of Nursing. She worked in the Public, Voluntary and Private sector as a Director of Nursing. Tanya came to Mount Hybla in 2012 to set it up in preparation for registration and to be the Director of Nursing there. Mount Hybla Private which is part of the Beechfield Nursing Home Group is a beautiful purpose built unit filled with light and space and is wonderfully conducive to quality of living for our residents. Tanya has a reputation for being passionate about person centred care for residents and for enthusiasm and determination in ensuring the care team always aim for highest standards and excellence in reputation. Her best skills are as a change agent and for inspiring and mentoring her team to view the world of care in this light. Most of all Tanya believes that care is about sharing, kindness, fun, and love. Tanya passionately nurtures this within the care team. She cares deeply for her residents and has a reputation for advocating at all times for their rights and dignity. She is formidable in this respect, yet has a deep sense of fun and mischief which is infectious and so she is forgiven a lot! Where a door appears to be locked Tanya will show where there are windows that can be climbed through in order to achieve our goals for the precious people we care for. Frances Neilan was appointed Director of Nursing in Clarenbridge Nursing, within the Windmill group in 2014. Frances set about a culture shift by enabling staff to embrace her vision of making the Nursing home a flourishing place for Residents and staff to live in harmony. The goal was to improve the lived experience for the Resident. This involved an emphasis on the biopsychosocial model of care. 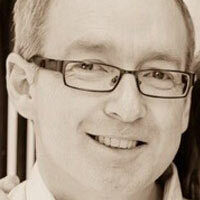 The theory is that ‘how a person lives their life has an effect on their health and wellbeing’. Social and Recreational programmes were enhanced to encapsulate all aspects of the resident’s life. Improvements were noted in resident’s appetites, sleep patterns and positive behaviours which were all a by-product of of creative physical and psychological programmes available to residents. The health outcomes were evident in the audits, a reduction was noted in falls, restraints and medications coupled with improvement in mobility and psychological wellbeing. Her commitment to staff education and training is paramount to ensure staff deliver a quality service which is rewarded by staff initiatives employed to promote a positive work environment. Frances has an open door policy with all staff, residents and families, everyone has a voice and are listened to at all times. Her dedication and hard work have contributed to the happy, safe and loving environment and atmosphere felt by residents and families. 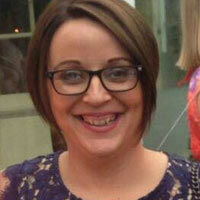 Catherine Donnelly is a Clinical Nurse Manager in Hamilton Park Care Facility. She came to Nursing late in her life. She graduated from DCU in 2013 and began her Nursing career in Beaumount Hospital but quickly realised that she loved working with the elderly. She came to Hamilton Park in 2014, where she worked as a Staff Nurse on an Acquired Brain Injury Unit. After six months she took on a new role as CNM in the Acquired Brain Injury Unit managing a 40 bed Unit. After one year she took over as CNM in a different Unit looking after 34 elderly residents. She has also just enrolled with the Royal College of Surgeons in Ireland to study a Post Graduate Diploma in Wound Management and Tissue Viability. 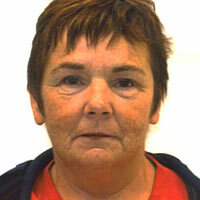 Jane trained and worked as a psychiatric nurse in Dublin. While working in acute admission and high dependency units, Jane found her fulfilment while working with the older clients. From here Jane specialized in Dementia and Palliative care. 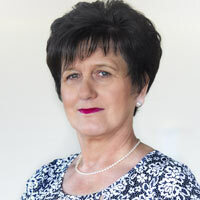 Jane Joined Barchester Knightsbridge team as a staff nurse in 2013. Jane has used her natural gift for recognising and responding to the needs of residents with communication difficulties and dementia through the development of peoples interpersonal skills to create a person centred environment which as seen the quality of life of the residents improve. 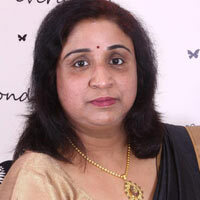 Bini began her nursing career as a Clinical Instructor in 1999 earning her Master’s Degree in Nursing in 2001. Bini continued as a Nursing Professor in South India, working to improve the lives of people in rural communities. In 2010, Bini was awarded “Study of the Decade “, for a dissertation outlining improved outcomes for children in these communities based on social supports she implemented. 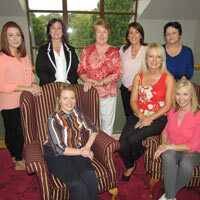 In 2005 Bini migrated to Ireland, starting work as staff nurse in Esker Lodge. Bini had many promotions within Esker Lodge and is now the Clinical Nurse Manager. She is extremely committed in her role and is an excellent leader. With support from her colleagues on the management team, Bini has completed FECTAC level 6 courses in gerontology and management. She successfully completed a Higher Diploma in Person Centered Dementia Care from the University of Surrey. In 2014 she qualified with distinction as a Registered Nurse Prescriber. This qualification allowed Bini to implement a polypharmacy programme which she is very passionate about, resulting in great outcomes for residents. Bini believes resident care should be of the highest standard, holistic in nature & blended with the fruits of good spirits. Bini’s dedication and commitment to resident’s well- being is paramount. 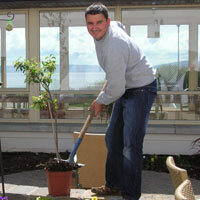 Philip Archbold is a Kind, Caring and Compassionate young man with 2 years experience working as a Carer at just 24 years old. Lorraine commenced employment in May 2007 as a Healthcare Assistant and shortly thereafter was promoted to the position of Senior Healthcare Assistant. In showing excellent person centred care and family support she was a deserving candidate for the position of Healthcare Assistant Manager in 2014. 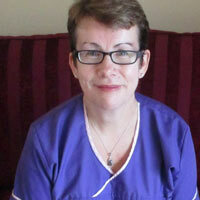 Lorraine works alongside the Healthcare Assistants on the floor on a daily basis. She supervises the Healthcare Assistants and leads their work by example and ensures the resident’s needs are met to the highest standard. Lorraine strives to create a happy working environment and believes that the welfare and knowledge of the residents and their families is at the heart of the nursing home. 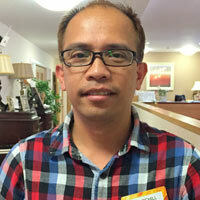 Churchill started working as a Health Care Assistant in 2009 and is a valuable team member of FNH. Churchill through the years has honed himself into becoming a highly skilled, confident and compassionate health care provider. He is committed to enhancing sensory stimulation to FNH residents and provides them with musical and spiritual activities that can evoke emotions of old time memories, sense of spirituality and wellbeing. He is genuine and holistic in all his dealings to the residents. Churchill is an enthusiastic Ferndene Creative Arts Society and Ferndene Choir member, a Sonas Practitioner, a wonderful colleague and an advocate to older people. Ferndene Creative Arts Society are a group of passionate people made up of residents, staff, volunteers and anyone affiliated with Ferndene who collaborate to make magical moments through the arts, who encompass the whole-home approach to ensure the home is consistently an interesting, exciting and vibrant place with innovative projects such as ‘Painting with Emotions’ Art Project, Rose Loge Sensory Stimulation project, Mom’s Café, Music Therapy, Resident’s Choir, Eco-therapy Project, Care-Partner and Memory Box Project, Mindfulness Project and many more. They combine creative forces, utilise and share talents, skills and energy to ensure that events and projects are well-planned, fun-filled and full of laughter. It includes the ever-growing team of in-house musicians who have both scheduled and impromptu music sessions throughout the week including ‘Thursday Night Live’, the chef who caters for Ferndene’s monthly events and regularly provides culinary demos for the residents, the talented Art Therapist whose art project has included 2 large-scale art exhibitions in the last year, the staff who run the gardening club, knitting class , arts and crafts afternoons, Residents Choir, the photographer who captures all the meaningful moments, the amazing residents and staff who raise money every year for various charities including Childline and The Alzheimer’s Society of Ireland, the in-house physio and Social Care Leader who organise the yearly ‘Olympic Games’ sports festival, the Director of Nursing who over-sees it all and Carol Day ‘Calamity Jane’ , resident ambassador, spokesperson and leading lady in the Ferndene Creative Arts Society, they are only some of the talented, creative, somewhat eccentric individuals who promote positive ageing through the arts. Niamh joined Altadore Nursing Home as Activity Coordinator in 2010 with an MA in Applied Christian Spirituality and a Higher Diploma in Spiritual Guidance. To support her interest in working with older people, she also attained a Fetac 5 Healthcare Support qualification and a DIT level 7 Certificate in Activities Programme Development. 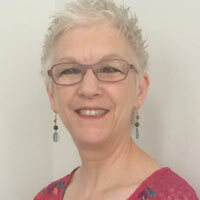 In addition, she is a Sonas Licenced Practitioner and has trained in Clinical Pastoral Education. With the invaluable support of nursing home founder Mary O’Reilly, she has taken responsibility for the further development of a comprehensive activity programme based on the interests and needs of residents. She creatively combines her education and training with great enthusiasm for the job and love of the people. Working with a supportive management and a committed team of activity staff and volunteers, she considers it her privilege to develop caring relationships with residents, while facilitating a range of social, cognitive, physical, spiritual and fun activities. Marilyn, Sarah, Brian and Sigita have been specially chosen as the social and recreational team in Mount Hybla. All four of them are deeply committed to enhancing the quality of life for our 66 residents. They are creative, flexible enthusiastic and responsive. 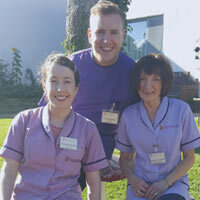 They are exceptionally good at ensuring that all of the care team are fully engaged in the activities programmes. And they do this by making life fun for everyone. Walking into Mount Hybla you will never know what you will meet! People (residents and staff alike) have been dressed up in 1916 attire, Valentine Hearts, the Green White and Gold of Saint Patrick’s Day, Easter Bonnets, the Stars and Stripes of the 4th of July, Halloween dress, the black tie and the posh frocks for the Mount Hybla Rose and outlandish sports gear for the Mount Hybla Sports day and not to forget the Christmas season. And dressing up isn’t enough! Everyone participates in order to create fun laughter and joy. They have a whole army of people coming in to engage the residents and their relatives in creative arts, exercise, music, dance, horticulture, spiritual nourishment, and academic pursuit. Nobody’s birthday is forgotten and trips out are a source of great enjoyment. The balance between giving and receiving is one way the team ensure the residents feel involved in society and beneficial to communities as is evidenced by the charity work the residents engage in, their involvement in elections and political life and their active participation in their Residents Council facilitated by SAGE where the team support them to make sure they have their say. In essence the team are true advocates of the humanity and individuality of our wonderful residents. They are the Heart of Mount Hybla. Andrew trained in Cathal Brugha Street. He began his career in the restaurant industry, spending many years developing his skills before entering the health care sector in 2010. He began as Head Chef for TLC and was promoted to Group Executive Chef for the TLC Group in 2015. During this time, he studied Holistic Nutrition and Wellbeing. 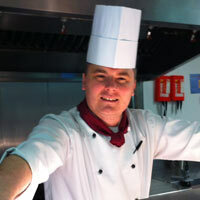 Andrew has a passion for his work; he promotes good health through food. He cares about nourishment and choice for residents and values the fact that meal times are sociable times. As he says himself, he works within his client’s home! Margo Kelly, Head of catering at Rathkeevan Nursing Home for 15 years, a bed Care Facility in Clonmel, Co. Tipperary. 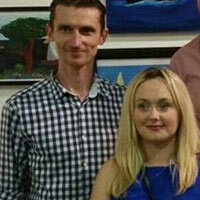 Married to Jimmy, she has a daughter and son, Aoife and Liam and lives in Newcastle. Outside of work Margo leads a very busy life. She has traveled to Chernobyl on 10 occasions as a volunteer to work in the Orphanages. At home she is no different, volunteering with various Community Groups, in particular, the Voluntary Housing Association where they built 17 homes for the elderly in Newcastle. Her hobbies include hiking, cycling, knitting, reading and travelling. Margo likes nothing more than spending time with family and friends. 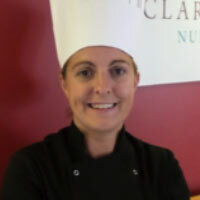 Sarah McDonagh a native of Clarenbridge, was promoted to Executive Chef in Clarenbridge Nursing Home, within the Windmill Group in 2016, having worked as a head chef in the Nursing home for the previous six years. 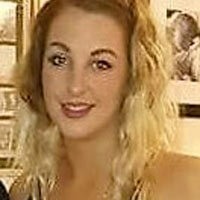 Sarah is dedicated to the ongoing quality improvement and enjoyment of the ‘dining Experience’ for all the residents. She redesigned the dining department to include a fresh fruit buffet table promoting choice and independence. She has contributed to promoting healthy diets and awareness of resident dietary intake and food choices and how this impacts on the resident’s health. She works closely in communicating this message through her involvement in the Multidisciplinary Team. Her knowledge of the MUST scores and its impact on the resident’s health status has improved her awareness of the resident’s dietary requirements. Sarah provides health promotion education to all the residents, advising them that there are choices available and recent auditing has demonstrated significant health improvements such as reduction in constipation and digestive complaint’s. 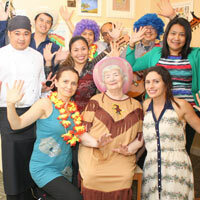 She is a key staff member and has the time to entertain residents with her cheerful and pleasant disposition every day. Originally from the local area of Cloverhill Roscommon, Dermot started working in maintenance at Sonas Cloverhill in 2014. 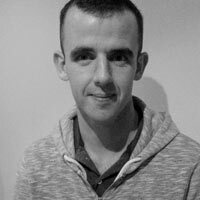 Dermot has a background in electronics and automation and prior to commencing work at Sonas, he acted as a carer for his father. Since joining Sonas, Dermot has undertaken many innovative projects which have benefitted residents, and has become an integral part of the Nursing Home Community. His job description has grown and diversified to include activities, driver, gardener, IT expert and most importantly, friend to all residents. Outside of work, Dermot is a member of the local AED committee, former secretary of the local hurling club and was in involved in the local graveyard restoration works. Laszlo lives in Barna with his wife Dana and children Ariana, 9 and Lukas, 3. He has been maintenance man at Áras Chois Fharraige for 14 years. He always makes time for residents, whether it be to hang a picture or repaint a bedroom in a preferred colour. He is dedicated, kind and sincere. As the Home’s Fire Marshall his evacuation procedures have been praised by the local Fire Officer and as H & S Officer he ensures the home has one of the lowest falls rates nationally. He also maintains the gardens and looks after our mini farm of pygmy goats, chickens, ducks and the aquarium. He is a qualified carpenter and at Christmas constructs a large wooden crib outside the Home, to raise money for the homeless. Jordanna Came up with the ‘heroes of TLC’ project when thinking about ways to get the residents thinking about themselves in a positive way. ‘We all have super powers’ Everyone has something they are good at, or some good quality they possess that helps themselves and others. This project aims to encourage the residents to think about their abilities and attributes in a positive way, and how they can use them to fight some of the adversities facing the older generation e.g. loneliness, apathy and being misunderstood. Each individual resident created a character based on their own good qualities choosing the name, power and even designing their costume. The residents found this very empowering as it reinforced how much value we all have regardless of age. Jordanna and the activities teams brought this project to residents who had mobility issues or people who couldn’t come to the class. They got them involved with painting backgrounds for the comic book and story development. They tried to include as many people as possible. The residents Of TLC nursing homes have also created awareness posters to help share their message to their communities. They made Pottery pieces based on their individual power, so they got to explore these ideas in pottery too. Both the residents and the team wanted to open communication between the older and younger generations, this Comic Book has been a great way to start. A lot of our volunteers were from youth groups and local children, they were surprised at how talented our residents are and it really opened their minds. It created a wonderful atmosphere of storytelling and empathy. It gave the residents a sense of being involved in their communities, and empowered them to let their light shine. Mary worked for 30 years in Public Health Nursing as Area Nurse & Assistant Director. She spent 5 years as Director at the Institute of Community Health Nursing and was founder member & chairperson of the Global Network of Public Health Nursing. In 2007, she moved to the Nursing Home sector and worked both as Director of Nursing and Quality Consultant for HIQA & JCI accreditation. In 2014. she spent 4 months with Concern Worldwide during the Ebola epidemic in Liberia. In 2015, she was appointed Manager at the Health & Wellness Centre, Carrigoran House, Co. Clare. Roisin joined the Millbrae Lodge team in 2011 as a Health Care Assistant after she attained her Diploma in Nursing Studies. 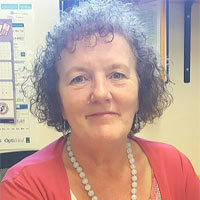 Roisin has held the position of full time Social Care Coordinator since 2013 when she completed a certificate in Dementia Training and the Sonas programme. Roisin completed FETAC Level 6 in Event Management and uses this knowledge to organise activities and events promoting a fun, entertaining and fulfilling nursing home life. Her more recent certificate in Barbering and the workshop in Creative Arts and Social Therapeutic Horticulture Activities better enable Roisin to tailor programmes to the respective interests of the residents. 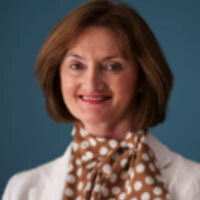 She is currently undertaking an MA in Education and Wellbeing of the older person at Mary Immaculate College. We are a team consisting of a Nurse Manager, 2 Staff Nurses, 2 Senior Care Assistants, 1 Activities Co-ordinator and Corporate/Household Manager who have undergone ‘Educate the educators’ training in Communication and Care giving in Dementia. We have successfully developed a Dementia Care Service Model which is both educational and informative. We believe that everyone is included in the care of our Residents in a relationship centred way. By having a better understanding of dementia and its effects, we focus on educating and informing our staff, family members and people from the wider community through our monthly advertised open information sessions which are well attended. Sharing experiences and challenges has had a significantly positive effect. Environment, activity and stimulation, visual aids, meaningful staff interactions are just examples of what we question and seek to improve upon. We are now planning and implementing environmental changes which we are very excited about! 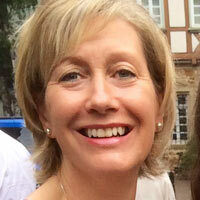 Sarah qualified as a Registered General Nurse in 1983. To Sarah nursing was always a vocation rather than a profession. Sarah has worked with the elderly since 2004 however, what distinguishes Sarah most is her enthusiasm, motivation and passion. Sarah continues to be the driving force as a leader. Sarah acknowledges that good care requires education and has undertaken many courses over the years. Sarah shares her knowledge to ensure her staff are competent, confident and comfortable when caring for residents. Sarah is a firm believer in positive role modelling with undiminishing motivation. Des Mulligan joined the Sonas Group of Nursing Homes in August 2015 as the Operations Manager for their Ard na Greine home in Enniscrone. Part of his brief with the Sonas Group has focused on the establishment of Quality of Life Committees across the homes of Sonas. These committees aim to create a ‘highlight to the day’ for each resident, and to integrate community life into the home. 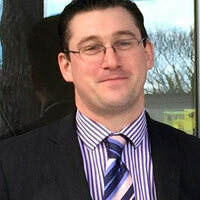 Prior to joining Sonas Des worked as a Regional Manager with the Alzheimer Society of Ireland where he led on several projects that sought to improve services and care pathways for people living with dementia. Chrissie Barron lives in Collon Co. Meath with her husband Ronan and son Tiernan. 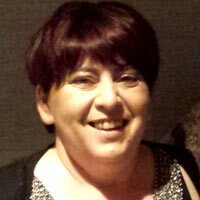 She has worked in Moorehall Lodge Ardee since 1999 where her primary role is caring for the Residents. Chrissie trains staff in Person First and Dementia Butterfly programme she has also completed her Fetac 5 course in Palliative Care. Chrissie feels very privileged to be in a position to help Residents live a more meaningful and fulfilled life in a place they call home. 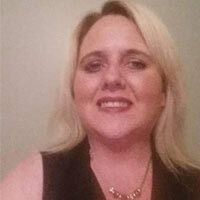 She is passionate about what she does and is delighted to be part of the Moorehall Lodge Team. 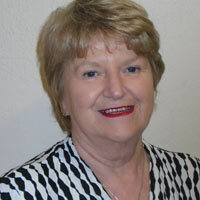 Linda trained in the UK as a registered general Nurse. She gained considerable nursing experience after travelling extensively in Australia and the US. Linda has held the role of Person in Charge at Millbrae Lodge since 1999. She completed The European Certificate in Essential Palliative Care and workshops focusing on End of Life Care for residents suffering from dementia, along with training in Adult Education, Leadership and Management. Linda was instrumental in implementing initiatives in end of life care which were acknowledged by the Irish Hospice Foundation through their Journey of Change programme. She is a role model, creating an environment of support and learning, building staff confidence in responding to the needs of the residents nearing the end of their lives. 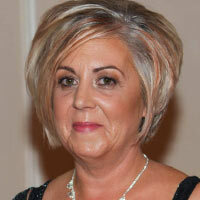 Living in Co. Kildare originally from Dublin, Carol is married with 3 children. Carol does marathon running and is also a Boxing Coach. She has been involved in Healthcare for the past 10 years, with many qualifications including Fetac Level 5 Healthcare Assistant and Activity Coordinator. Carol is dedicated to End of Life Care, taking a Person- Centered Approach. Our Oratory was created through the contacts she has made resulting in beautiful donations of Altar and religious artefacts and paintings. Carol has built up a network of significant professions of priests’ undertakers and singers, to enable and ensure, reassurance for both the resident and their family, that their dignity and End of Life Wishes are respected at all times. She is the important link on their final journey. 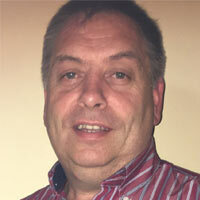 Patrick Donnelly is a resident of Kingfisher unit in Hamilton Park Care Facility. Pat, as he likes to be known, has lived in Hamilton Park since 21st May 2015. 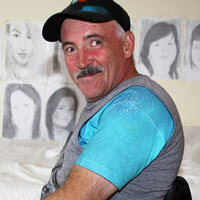 Pat has overcome many obstacles in his life and has blossomed since residing in Hamilton Park. He has strived to develop his passion for art and has not only contributed to the many projects within the care facility, but has also gifted many friends with portraits of themselves and their loved ones. Pat has gained confidence and has made many friends within the community of Kingfisher unit.